Flixborough is one of a number of river wharves on the Trent. It focuses on handling steel and bulk cargoes. It is able to accommodate vessels up to a maximum of 100m, with a sailing draft of up to 5.5m on Spring Tides. These berths are serviced by overhead gantry cranes, capable of lifts up to 35 tonnes, and a mobile crawler crane for general grab or hook work. Loading shovels assist for the handling of bulk cargoes and a dedicated weighbridge and lorry wheel wash for bulk cargoes are located within the site. 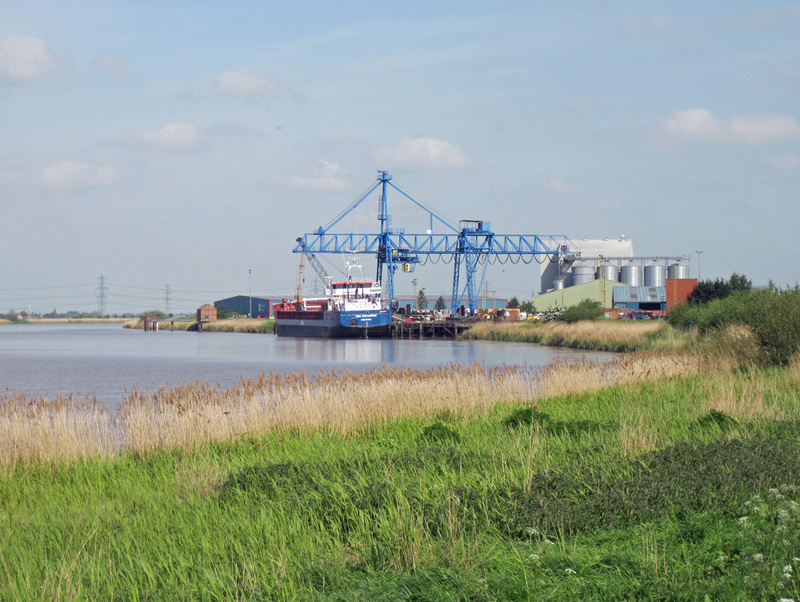 Flixborough Wharf operates a dedicated steel terminal comprising of 13,380 sq m. In total 20,800 sq m of warehousing is available on site. We can also offer a dedicated rail crew and two locomotives which move traffic from the main Network Rail link onto our own line. We benefit from large sidings - allowing us to hold and shunt in excess of fifty wagons - and a complex of rail lines on the site, which means that wagons can be moved alongside the quay for easy access to vessels or shunted inside the steel terminal for overhead crane work.